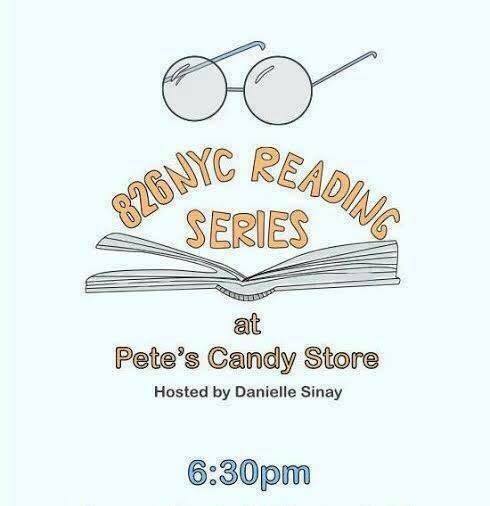 826NYC, a nonprofit dedicated to supporting students ages 6-18 with their creative & expository writing skills, hosts a monthly reading series featuring New York City’s finest writers: emerging, published, and everywhere in between. Because at 826NYC, everyone’s invited to share their story. This month features writers & performers Aarti Monteiro, Alison Preece, Annie Battles, and Phoebe Gittelson, and is hosted by Danielle Sinay. Entry is FREE and Happy Hour runs ’til 7: $2 Yuengling and $3 well drinks and Brooklyn Lager! We hope you join us for this wonderful evening in celebration of New York’s finest writers and 826NYC! AARTI MONTEIRO is a fiction writer and educator. She has an MFA in Fiction from Rutgers University-Newark. She is a VONA/Voices alum and Virginia Center for the Creative Arts Fellow. She runs the 826NYC Writers’ Room program at a middle school, where she wrangles kids to write stories and poems. Aarti is working on a novel in stories that deals with home, loss, and identity. Born and raised in India and Illinois, she currently lives in Brooklyn. www.aartimonteiro.com; @aaisforaarti. ALISON PREECE is a writer and actress living in Brooklyn. Her stories have been published with The Huffington Post, Skirt magazine, Elephant Journal, Thought Catalog, Sniff & Barkens magazine, and elsewhere. She is a features writer for OnStage Blog and is working on her second novel.www.alisonpreece.com; @apreecenyc. ANNIE BATTLES is a comedian and writer living in Williamsburg, where she is currently writing, producing and directing a web series called Special Blonde Roast in collaboration with Margaret Burrus. She grew up on Roosevelt Island, where she took the tram to school every day, before receiving her BA from Bard College. She is currently also a barista at Bohaus, a coffee and flower shop in Bedford-Stuyvesant. PHOEBE GITTELSON feels the soft california sun tingle under her freckles, she misses pacific coast highway and wild succulents. she is currently living in new york city. she might be practicing violin on her rooftop. she loves seeing matisse at MoMA and the ancient nudes at the MET. she is probably writing about you, you can find her if you are looking. phoebe listens to django reinhardt in the morning and is always watching the moon. she is trying to create empathy through poetry, through conversation. 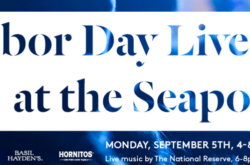 If you’re not heading out of town for Labor Day, you should head to The Seaport District’s Labor Day Live event. Labor Day Live at The Seaport District brought to you by Jim Beam, Maker’s Mark, Hornitos, Basil Hayden and Smorgasburg. Live music and food and drink specials on the cobblestones. Live music headlined by The National Reserve. Food and Drink Specials from Seaport Smorgasburg including a BBQ brought to you by Fletchers Brooklyn BBQ and samples of handcrafted Bourbon infused ice cream by Jim Beam. 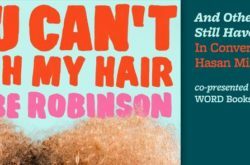 Join Phoebe Robinson as she launches her first book You Can’t Touch My Hair: And Other Things I Still Have to Explain. 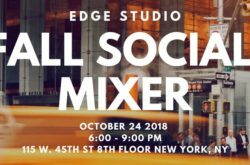 The event will feature a conversation with Hasan Minhaj (The Daily Show) and a signing to follow. Phoebe Robinson is a comedian, writer, and podcaster. She is the creator and host, with Jessica Williams, of Two Dope Queens, and of her newest podcast, Sooo Many White Guys. She’s well-known for her blog Blaria and is a regular contributor to Glamour.